Every great chick flick (think Pretty Woman, Clueless, Mean Girls, She's All That) has a makeover scene because we love seeing a surprising transformation unfold. So it's no wonder we're smitten with two transforming lip colors from Lipstick Queen that start out a little scary and end up soft and feminine. 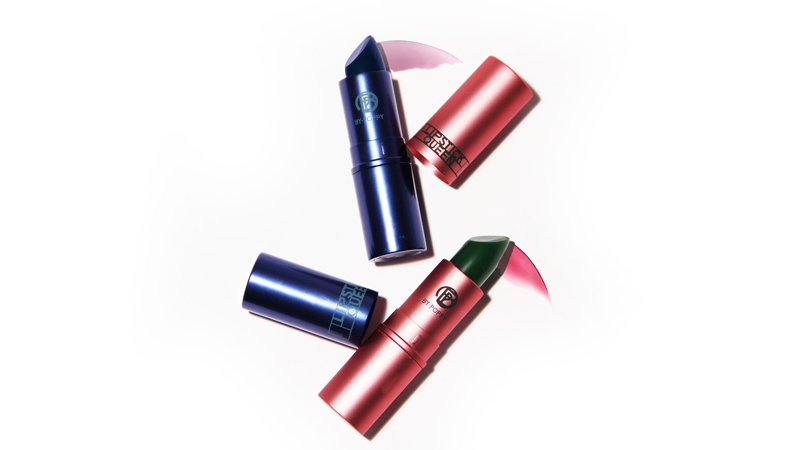 When you first go to apply either of them, your friends may be shocked—or think you've lost your mind and forgotten it's not Halloween—since the lipstick bullet itself looks like a crayon, either an opaque emerald green (Frog Prince) or candy-bright blue (Hello Sailor). But once you glide it on, the look is sophisticated, not silly. Frog Prince reacts to your skin's warmth and pH, turning from green to a rosy pink in seconds. (Don't you wish every frog you encountered turned into such a prince?) The result is a fairy-tale princess shade of pink and lots of glossy shine thanks to shea butter. Also, it looks slightly different depending on your pH and skin tone, so it's fun to see what happens when different friends try it out. Hello Sailor's transformation is slightly more subtle. It looks like it will go on a cartoonish, opaque blue, but it's actually a sheer berry color that just adds a little tint and vitamin E-powered shine to lips. Bonus transformation: its blue undertones can actually make teeth look whiter.